Not 100% on ID, but got it from an active duty guy today. He stated he got it from one of his TERPS. 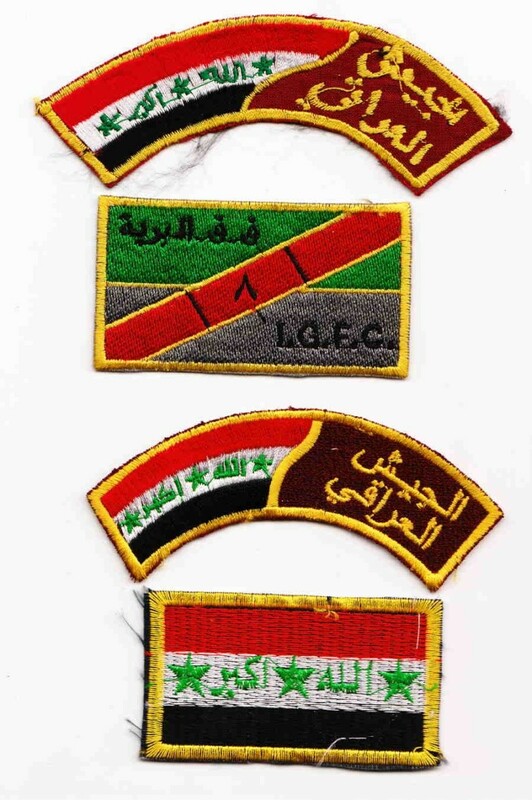 That's 5th Iraqi division, Iraq has been attempting to standardize insignia, so all the divisions started going to this format patch ca 2006. 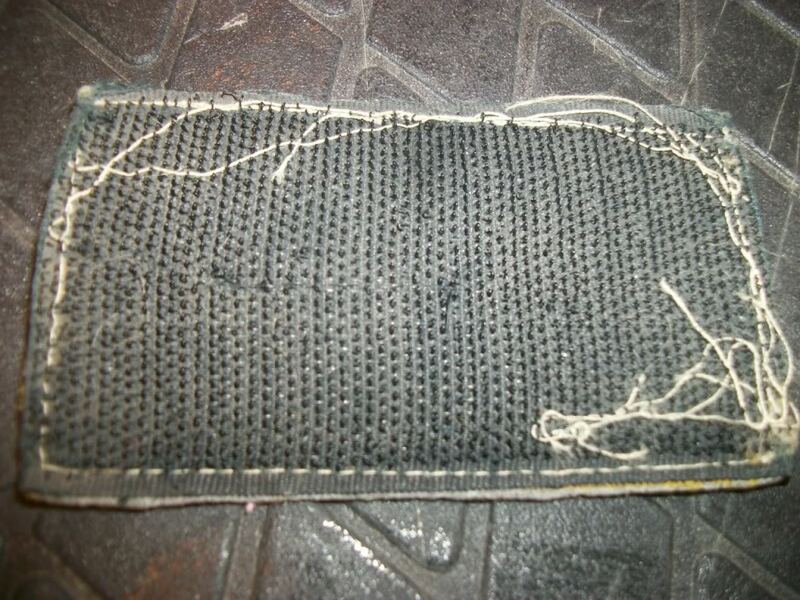 You'll find these with western numbering or arabic numbering, or no numbers at all. 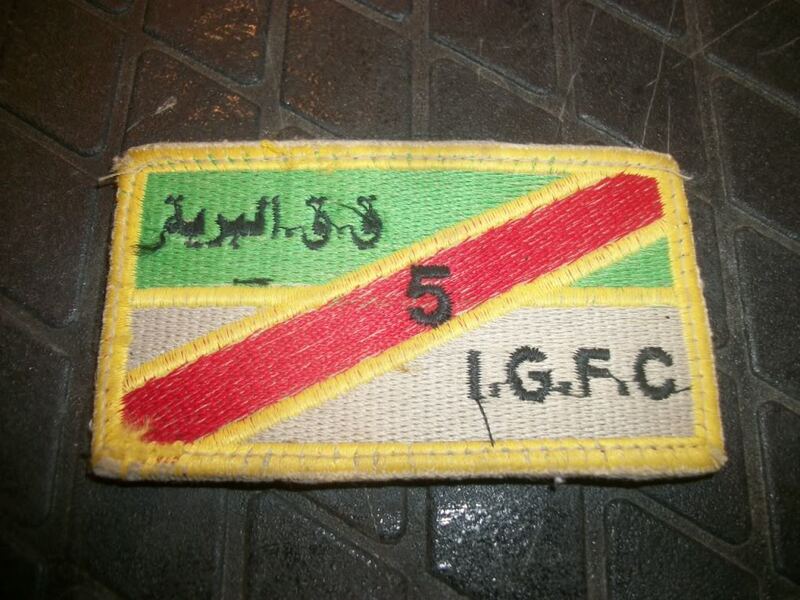 IGFC stands for Iraq Ground Forces COmmand. An example of 8 Irag division with arabic numeral "8"